Strong enough to withstand anything that travels your way, the Wolverine® Meteor waterproof boot will keep you protected from any unexpected showers! 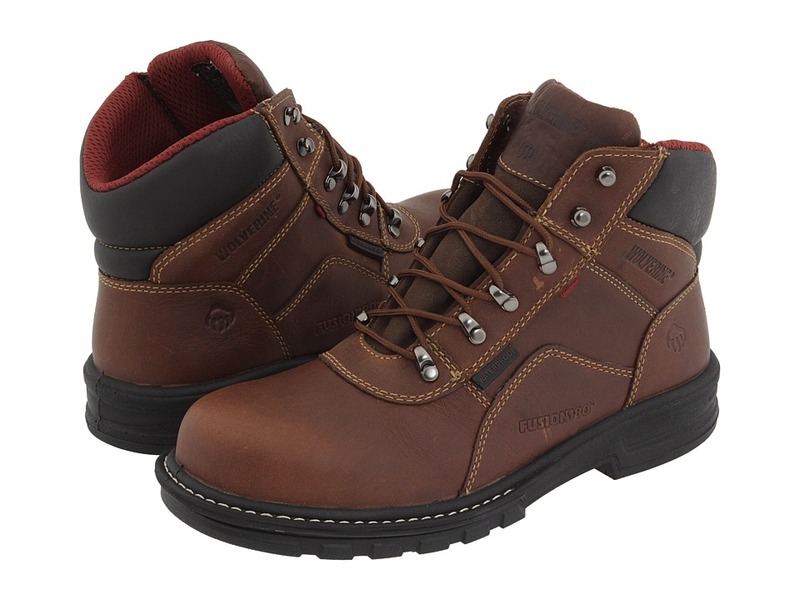 ; Waterproof full-grain leather upper to keep you dry. Padded collar for added cushion. Mesh lining and cushioned footbed for all day comfort. Molded contoured bi-fit insole for arch stability and flexibility. Lightweight PU midsole. Multishox® rubber lug outsole. Stitch welt construction. ASTM F2413-05 M I/75 C/75 EH rated for steel-toe and electrical hazard protection. Measurements: ; Weight: 1 lb 13 oz ; Circumference: 14 in ; Shaft: 6 in ; Product measurements were taken using size 8, width D – Medium. Please note that measurements may vary by size. Didn’t find the Boots you were looking for? How about these?